Confession: I'm wearing $400 shoes by Donald J. Pliner (for which I paid only $63 on 6pm.com! ); but a $7 hat from Wal-Mart ($7.99 to be exact). My smoky quartz and diamond ring is a designer piece from a local high-end jeweler; but my lacy Stella & Dot cuff was an eBay bargain. The Brahmin bag was a splurge a few years ago; but the dress is a $30 Steinmart clearance rack find. There's no question I love the bold David Yurman ring and the supple croc-embossed leather tote, but in terms of "shopper's pride," I get far more excited about the bargain buys! I'll never understand people who brag about how much money they've spent on something. I'd much rather celebrate consignment store treasure or vintage values. What's more, mixing higher end "must haves" with less expensive pieces allows me to be more creative in expressing my own unique style. Anyone can walk into a store and buy an entire look right off the mannequin, but that's so boring - the adult equivalent of Garanimals. Scouring sales, consignment stores (and yes, even Wal-Mart on occasion) also stretches my budget and allows me to indulge in the occasional splurge without breaking the bank. My friend Sandi refers to those "I want it at any price" items as "Zingers." Everybody finds a Zinger now and then, and if you're judicious with most of your wardrobe purchases, you shouldn't feel guilty about it! Of course, cost-conscious shopping doesn't always mean you should go the cheaper route. Sometimes you really do get what you pay for (remember my grocery store skirt?) It's important to keep in mind the type of item you're buying and how often you'll wear it. For example, if I need a basic tank to wear under a suit, I'll go to Target or Gordman's - both stores carry a plethora of colors for less than most people spend on lunch. Under a well-tailored, high quality blazer, no one will know the difference between a $5 tank from Target and a $50 one from Saks! I'm linked up with Hat Attack - check it out for more fabulous headwear! I love your mix of low-end and high-end. Very creative and stylish! You are always a knock-out and a vision to behold. 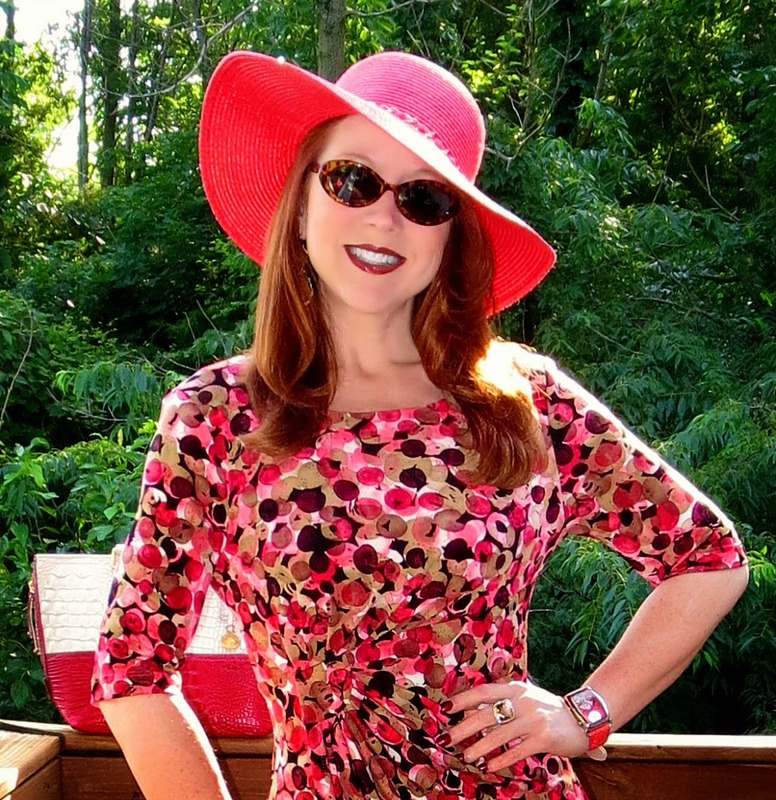 Thank you for sharing your chapeau and your beauty with Hat Attack! Louisa, Thanks so much! 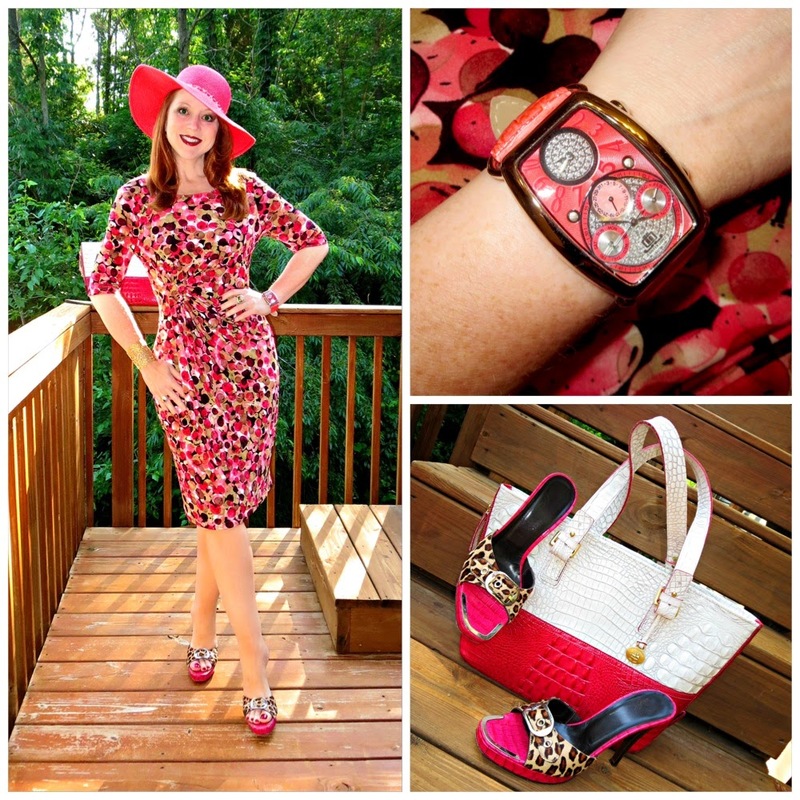 It's so nice to connect with such a stylish blogger - I really really appreciate your feedback.